Discriminating individuals the world over asked for a compact version of our Supergrade pistols. The Tactical Supergrade Compact was our answer. Discriminating individuals the world over asked for a compact version of our Supergrade pistols. 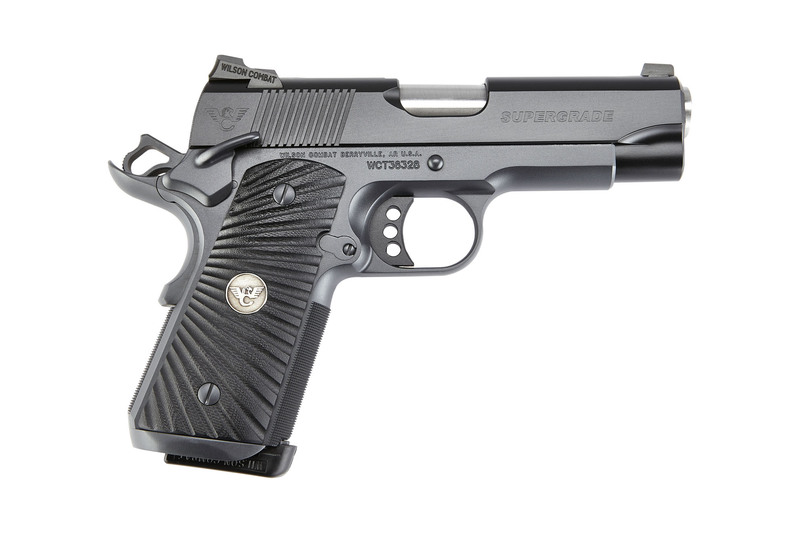 The Tactical Supergrade Compact was our answer. Peerless aesthetics and absolute function are hallmarks of the Supergrade Family, and the Tactical Supergrade Compact continues that tradition in a pistol optimized for daily carry. Hand crafted from carbon steel, the Tactical Supergrade Compact, with a 4” barrel and a slide 1” shorter than a full size, is fitted to a frame with a ½” shorter grip. Optimized for use as the ultimate carry pistol, with no compromises in our renowned beauty and workmanship. 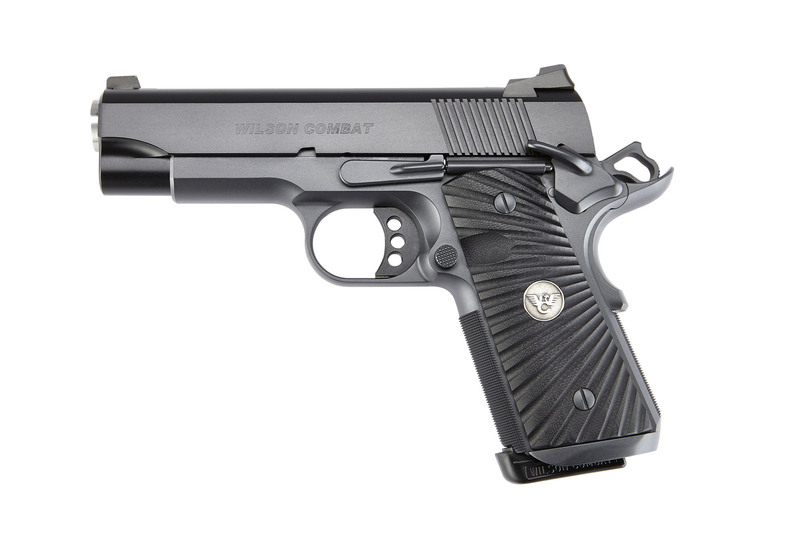 Wilson Combat® Supergrades are the standard to which all other custom pistols are compared. The Tactical Supergrade is unrivaled in the realm of compact-sized defensive pistols, and is one you will be proud to own and carry.